Vauxhall Zafira SRI 2.0 CDTI. 18" alloys. Digital radio. Fantastic priced family car. Vauxhall Zafira SRI 2.0 CDTI. Diesel/Manual finished in Red. This is a great value 7 Seat Diesel car perfect for families, is in good condition and is priced to sell! It is spacious and has a very large boot with the rear 2 seats down. This Vauxhall Zafira looks great inside and out and has been kept well by its 2 previous owners. It has a nice set of 18" alloy wheels, privacy glass and parking sensors too. The running costs are good at 53.3 MPG and £140 and mechanically the car is in great condition and the bodywork looks great too. 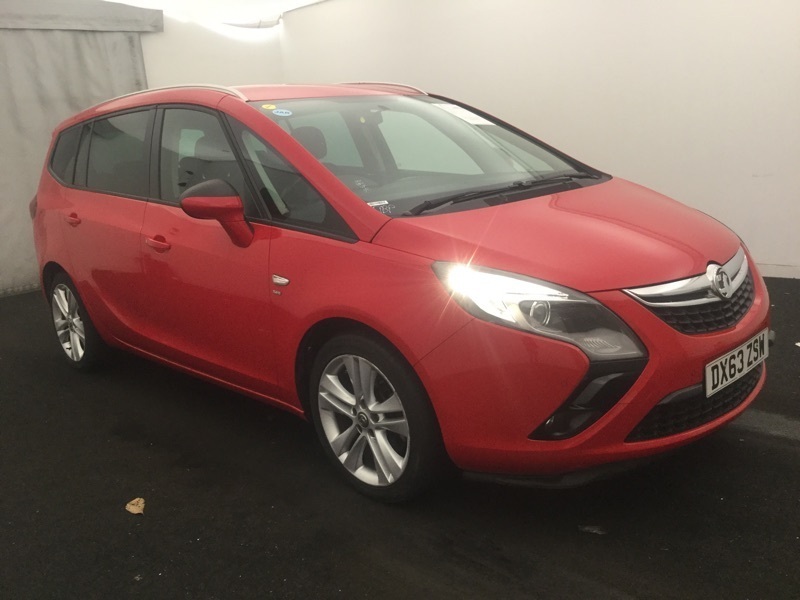 Spec includes Digital radio with AUX, USB and MP3 connectivity, cup holders, front fog lights, Isofix, multi-function steering wheel controls and more. This great large diesel family car comes with 6 months dealer warranty and 12 months AA complimentary breakdown cover.